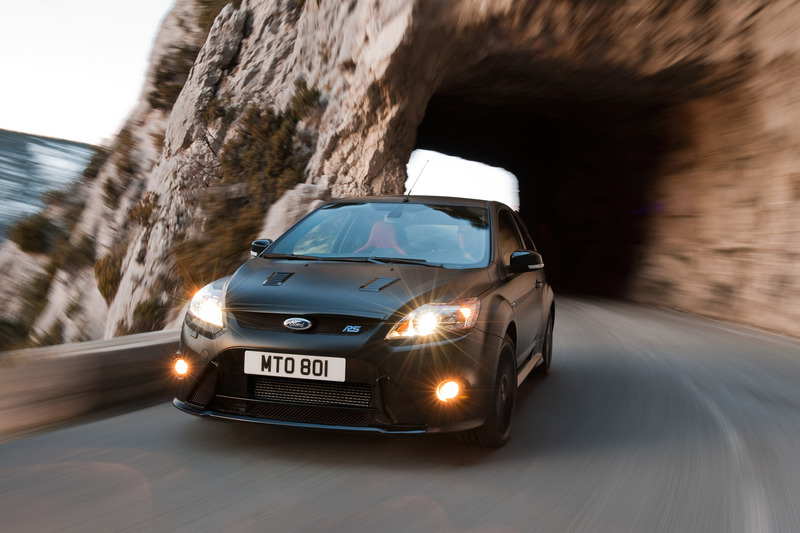 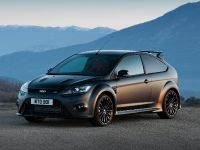 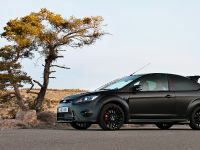 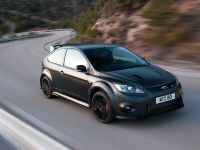 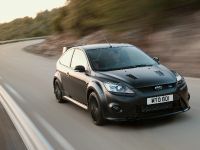 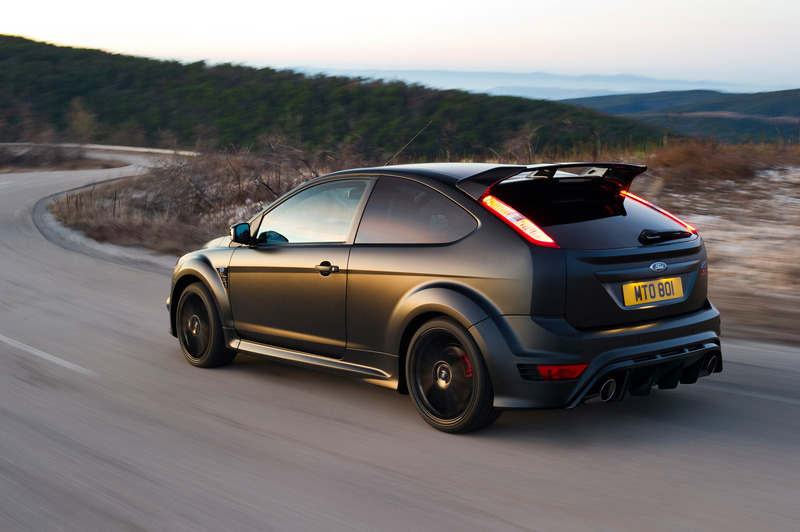 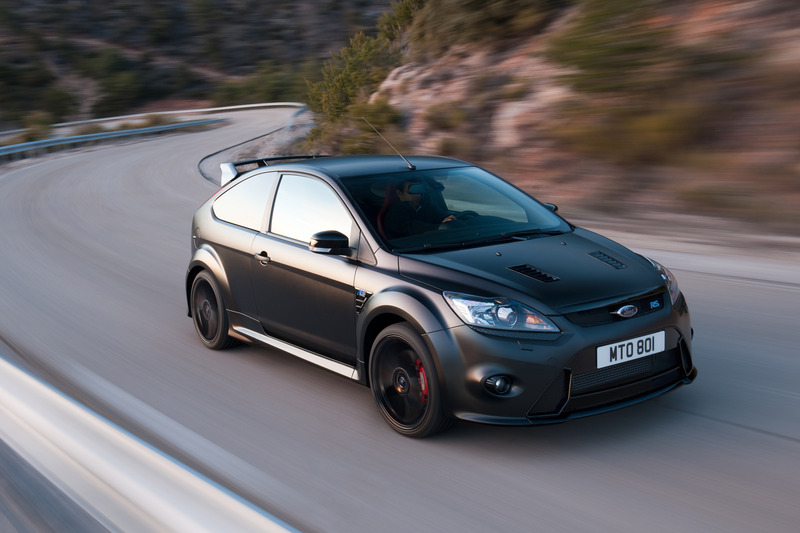 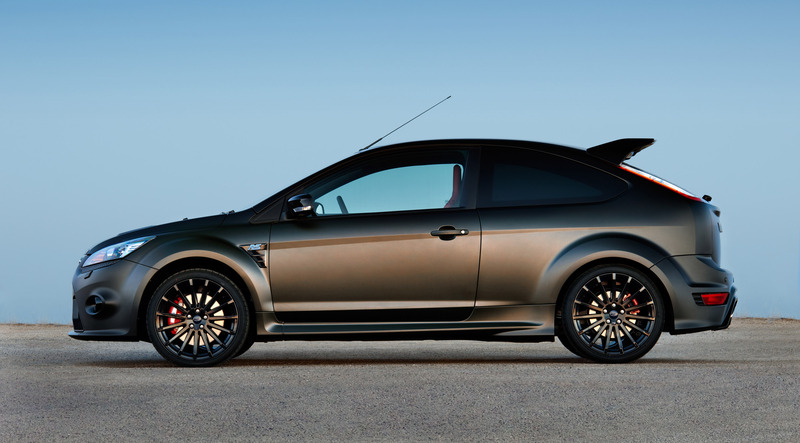 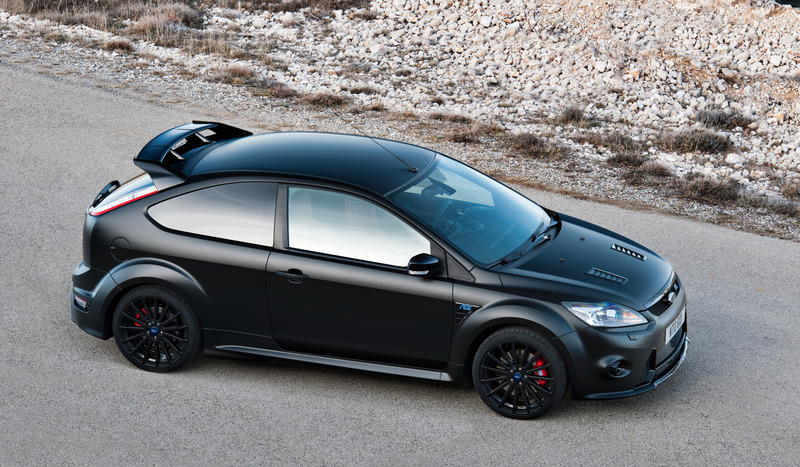 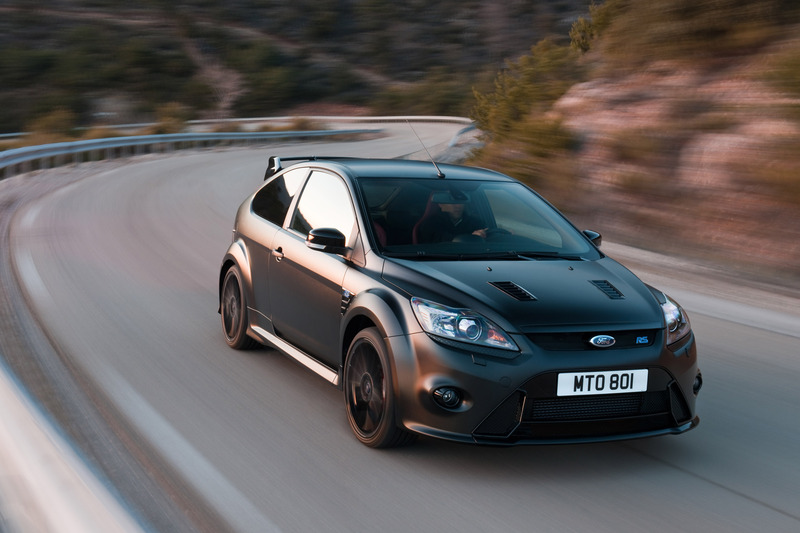 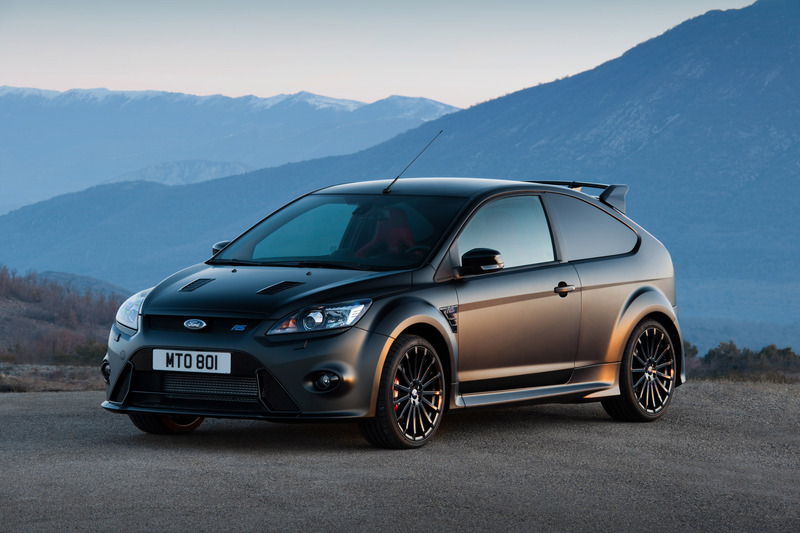 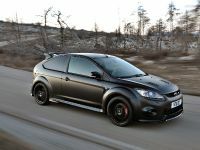 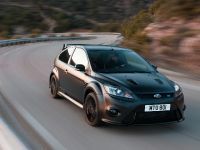 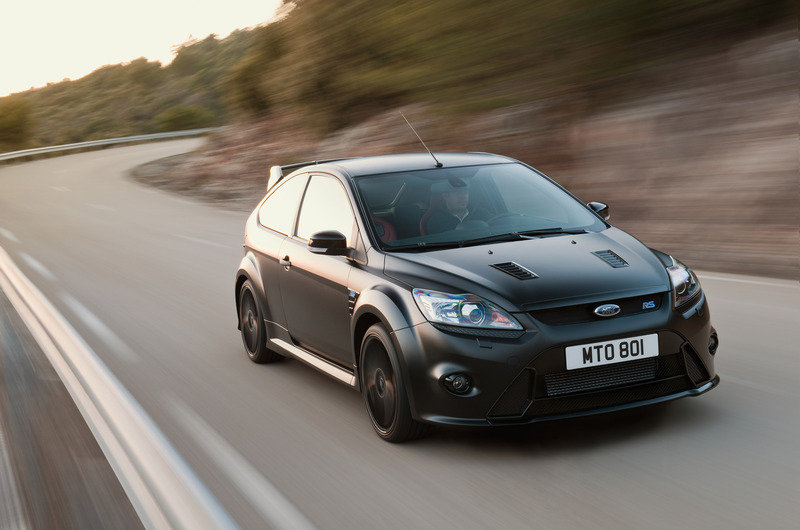 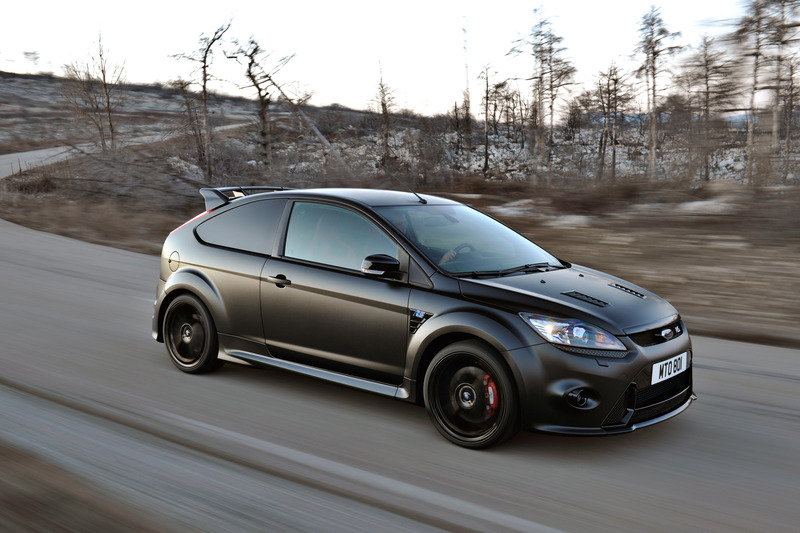 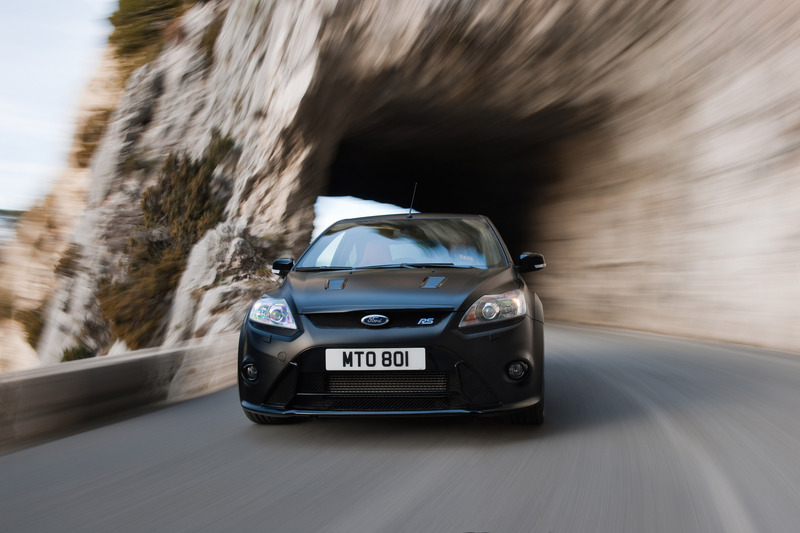 Ford Focus RS500 is really an amazing car. 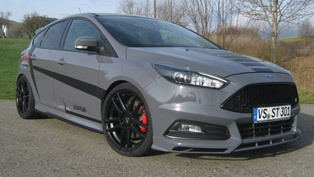 It puts end on the myth that FWD cars can't take corners. 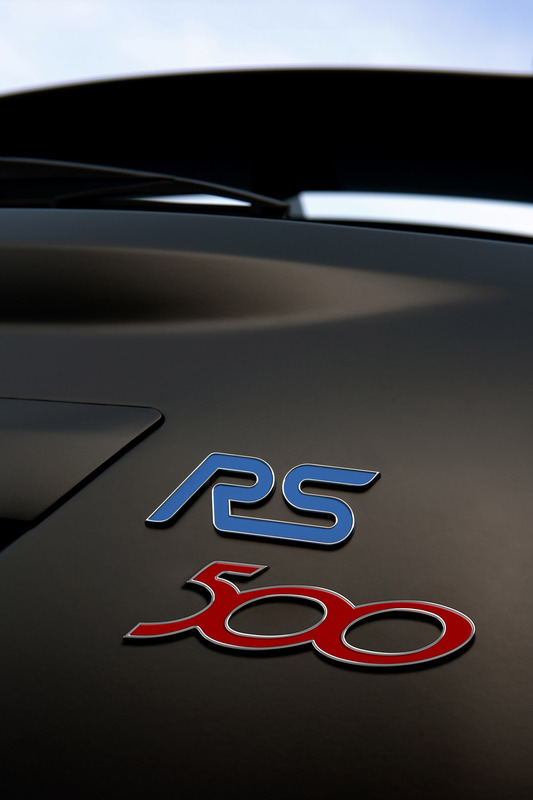 Against all expectations, RS500 is simply an extremely sharp razor, when it is on a race track. 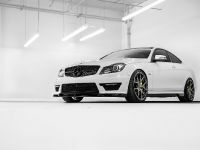 Here is a nice video, where Top Gear USA host Tanner Foust explains some of his driving around the best circuit in the world - Nurburgring-Nordschleife in Ford Focus RS500. 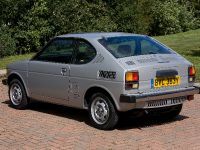 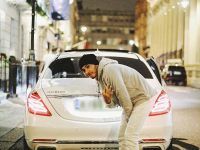 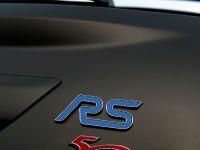 There are some very interesting moments, especially, when a sports bike can't make up with the RS500 or the "puny" front-wheel drive hatchback takes over a Ferrari. 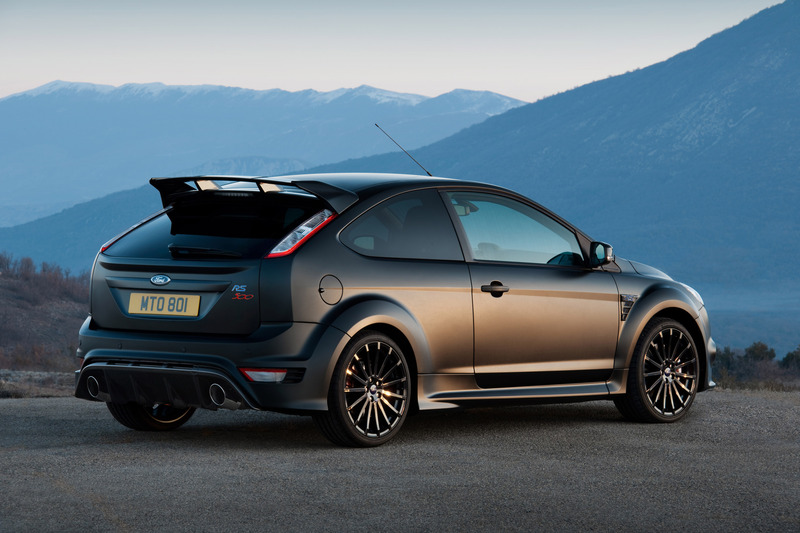 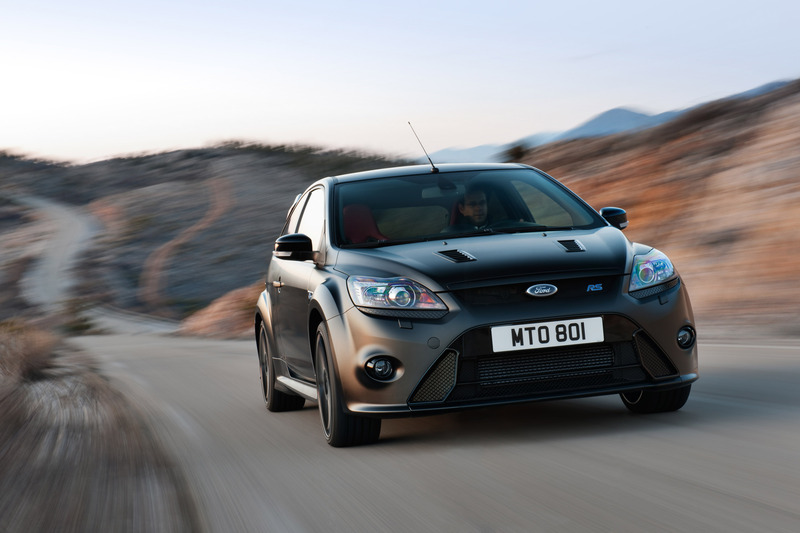 In case you don't remember the specs of Ford's hottest hatchback, here are some of them. 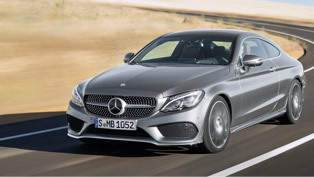 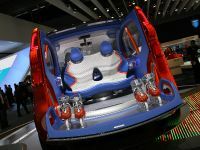 A 2.5 liter, 5-cylinder turbocharged petrol engine with a hefty 350PS (257 kW) at 6000RPM and 460Nm (339 lb-ft) of torque available at just 2500RPM. 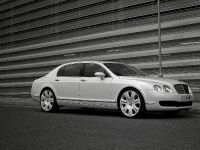 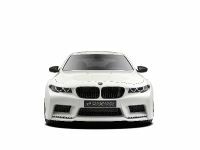 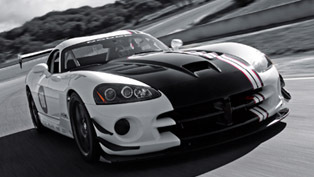 0 to 100 km/h in 5.6 seconds and a top speed of 265 km/h (165 mph). 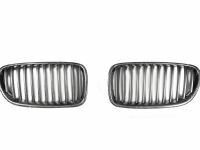 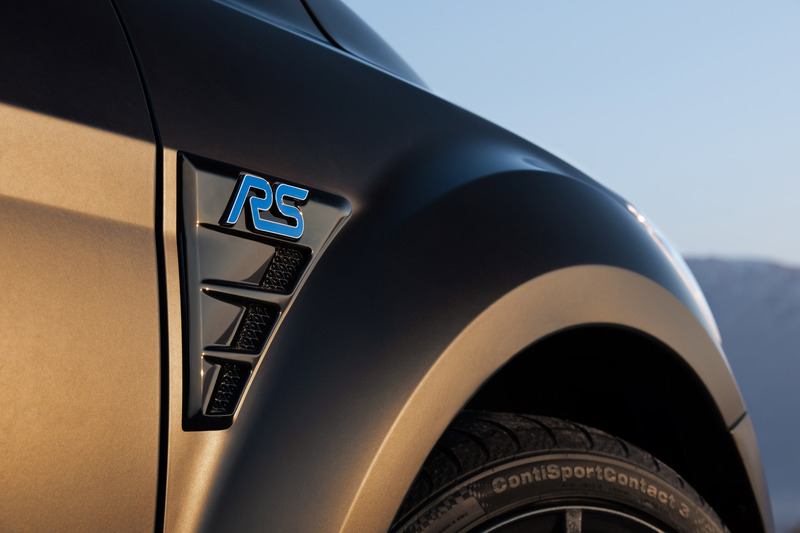 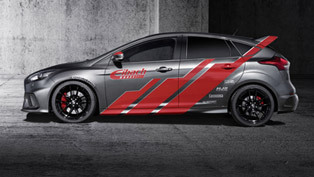 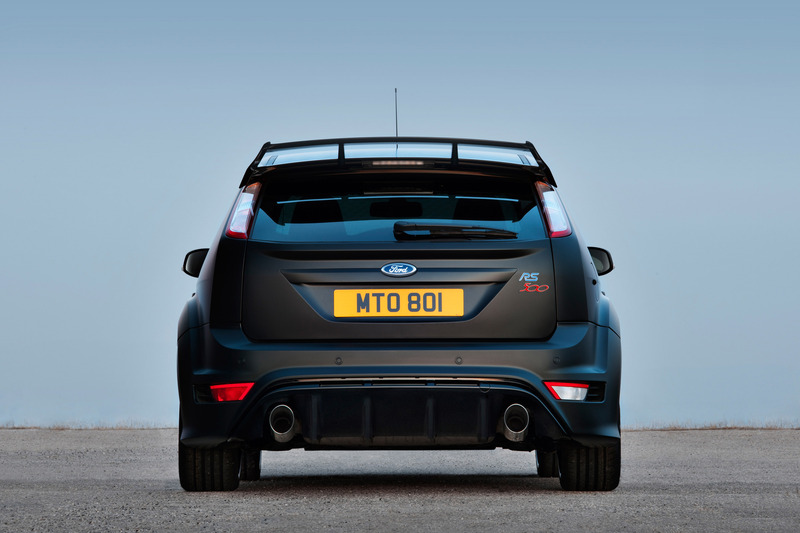 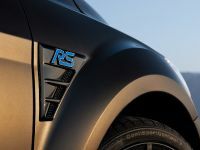 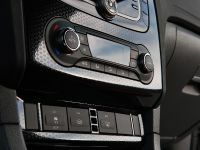 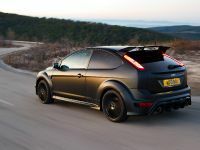 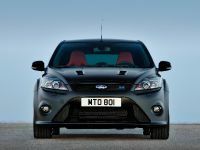 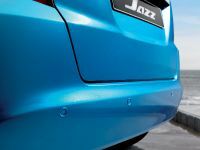 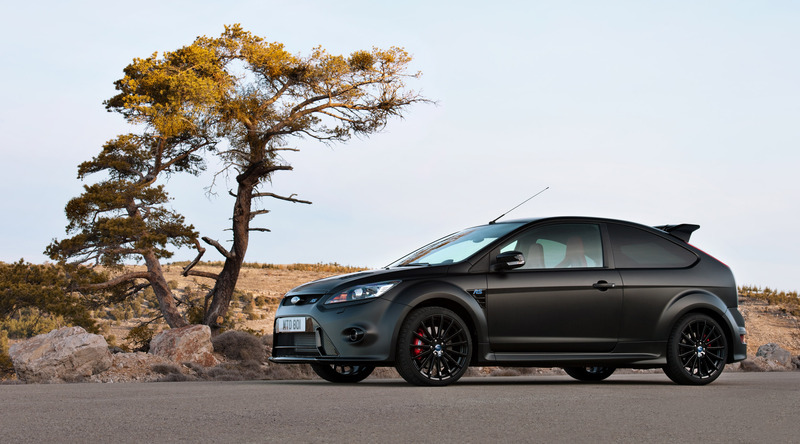 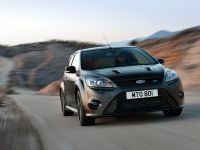 The exterior of Focus RS500 boasts the matt black paint, metallic black alloy rims, glossy front grille and splitter, twin-blade rear spoiler and rear venture. 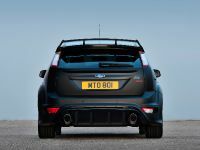 There are also red brake calipers, blue RS badges, and special blue and red RS500 badge on the tailgate. 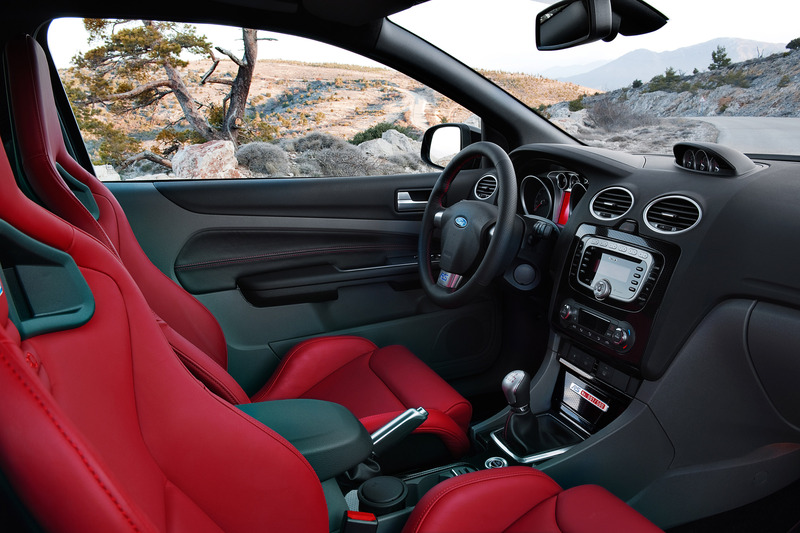 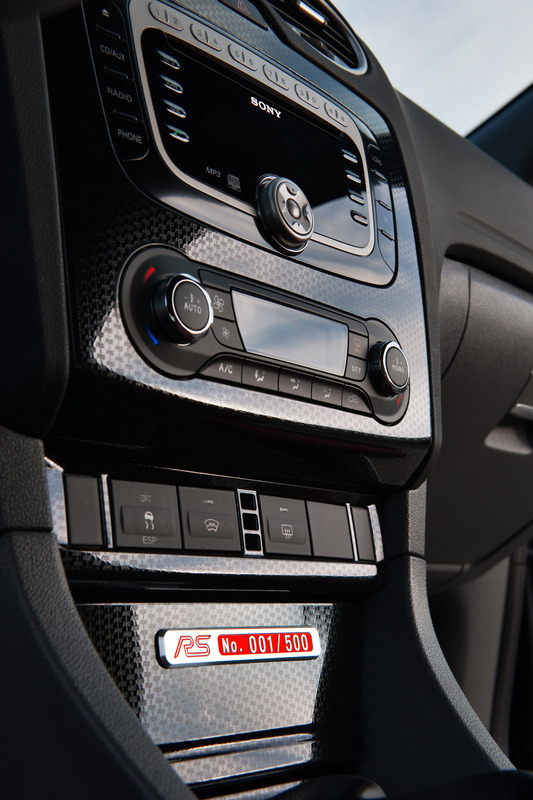 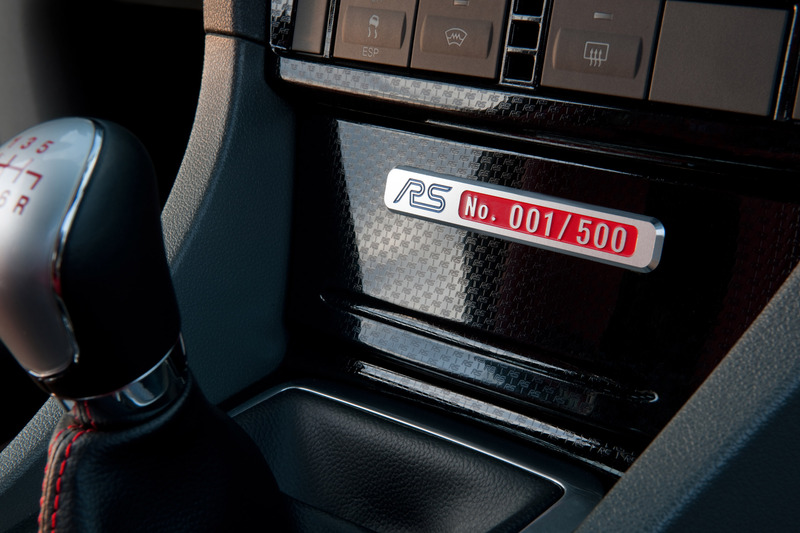 The interior comes with individually-numbered metal plaque, unique carbon-effect finished bezel, Recaro front seats, and a special red colour scheme.